This heavyweight cotton canvas tote bag features an inner pocket, flat bottom and 10" strap. Front image of caterpillar and back image of fruits from Eric Carle's The Very Hungry Caterpillar. Made in Brooklyn, NY. 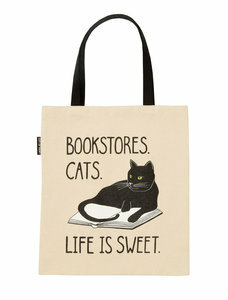 Purchase of this bag sends one book to a community in need. A veritable illuminated manuscript cataloging the A to Z of nature's everyday wonders to create the perfect gift book. 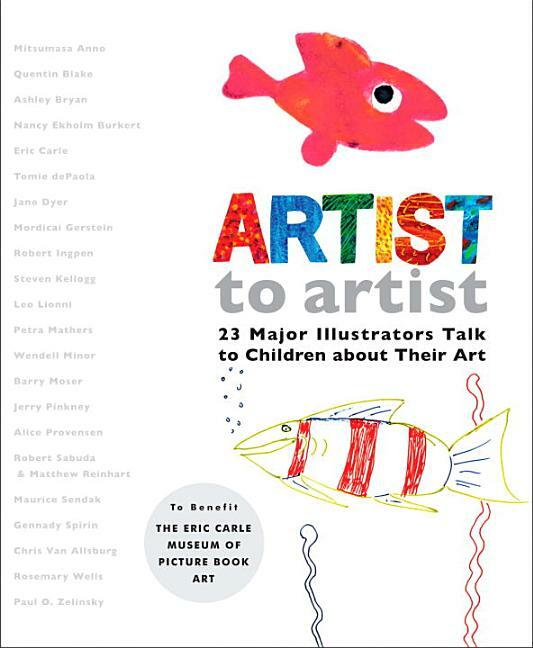 More than a master's-eye view of nature, and infinitely more than a simple illustrated A to Z book, A Garden of Ordinary Miracles catalogues the breathtaking beauty and variety of flowers in full bloom, in glorious hand-drawn illustrations. Anyone who loves nature will be instantly transported to an alphabetical landscape where everything from azaleas and zinnias bloom all year long. Each overgrown spread bursts with gorgeously rendered full-color and pen-and-ink representations of flora (and fauna) whose names begin with a particular letter. Prance through P, overrun by peonies and poppies, or wander around W's wisteria and water lilies. With so much to look at and enjoy on each page, readers will be enchanted and entranced by the intricately detailed and whimsical nature of Zakanitch's art. Packaged as the ultimate gift for adults, gardeners, or those sitting at their knee, this garden book is nothing short of a miracle. 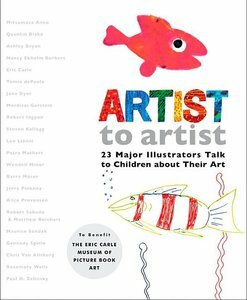 This funny, touching picture book -the perfect gift for a child to give to his/her own teacher- celebrates the difference a good teacher can make. Written as a thank-you note to a special teacher from the student who never forgot her, this moving story makes a great read-aloud and a perfect gift for Teacher Appreciation Day or the end of the school year. Dear Teacher, Whenever I had something to tell you, I tugged on your shirt and whispered in your ear. This time I'm writing a letter. So begins this heartfelt picture book about a girl who prefers running and jumping to listening and learning--and the teacher who gently inspires her. From stomping through creeks on a field trip to pretending to choke when called upon to read aloud, this book's young heroine would be a challenge to any teacher. But this teacher isn't just any teacher. By listening carefully and knowing just the right thing to say, she quickly learns that the girl's unruly behavior is due to her struggles with reading. And at the very end, we learn what this former student is now: a teacher herself. 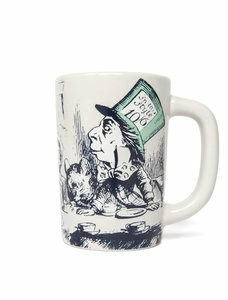 Ceramic mug featuring image from Alice in Wonderland illustrated by John Tenniel. 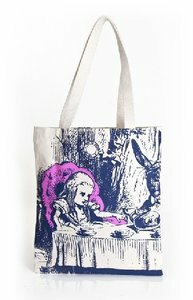 This heavyweight cotton canvas tote bag features an inner pocket, flat bottom and 10" strap. 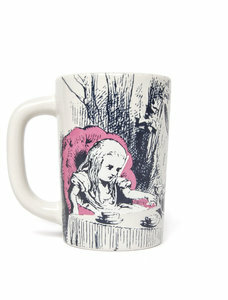 Image from Lewis Carroll's Alice in Wonderland illustrated by Sir John Tenniel. Made in Brooklyn, NY. Make the reading experience last longer. Fully embossed cover, 3 ribbon place markers and double expandable inner pocket. Alphabetically organized sections to fill in. 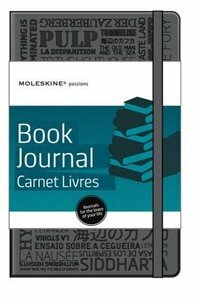 6 tabbed sections to personalize and 14 blank pages in which to unleash your passion's creativity. A free customized bookmark. Several adhesive labels: 40 to be used on the blank tabs, 150 colored with icons and 12 to customize the cover. 13x21 cm, 5"; x 8 1/4"; 240 pages, acid-free paper. What else do you need? Show your love of life's essentials with this canvas tote bag. Blank notecard featuring beautiful bouquet illustration from Eric Carle's FRIENDS. 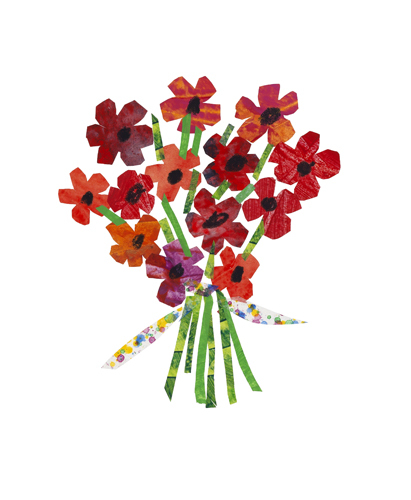 Perfectly sized for a short note or thank you cards. Size: 4.25" x 5.5". Set of five notecards with matching white envelopes. Front features text "Thank You" Blank inside. Comes with coordinating envelope. 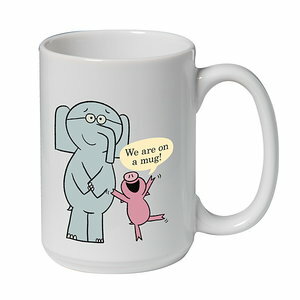 Printed with soy inks on 60% tree free recycled paper. Card measures 4.25" x 5.5". Artwork by Becca Stadtlander. Purchase of this pouch sends one book to a community in need. 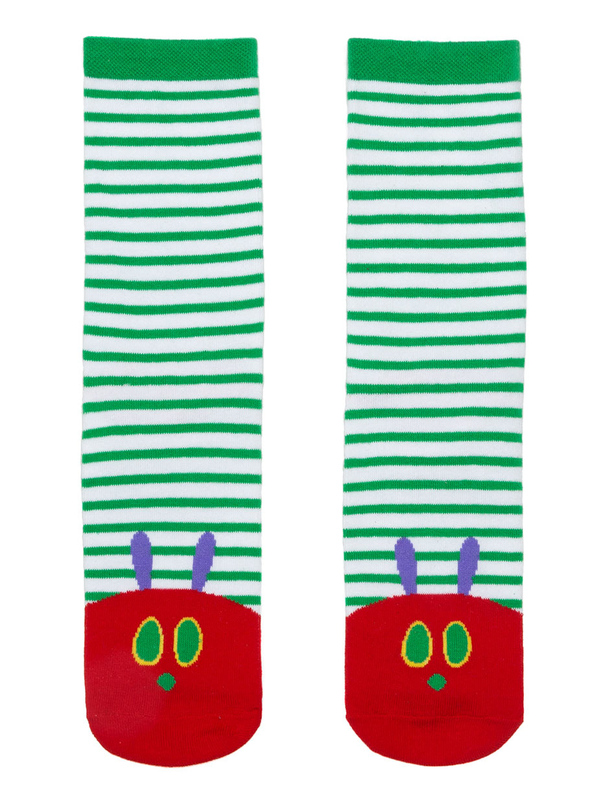 Show your love for The Very Hungry Caterpillar in style! 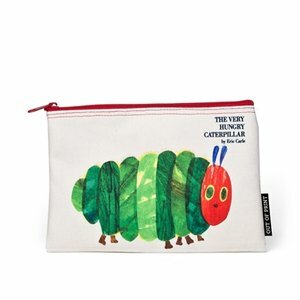 This duffel bag features 100% cotton quilted Eric Carle fabric with soft, sturdy handles and roomy interior - the perfect size for carry-on luggage! Tote measures 24" x 13". 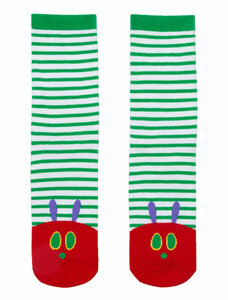 Show your love for The Very Hungry Caterpillar in style! 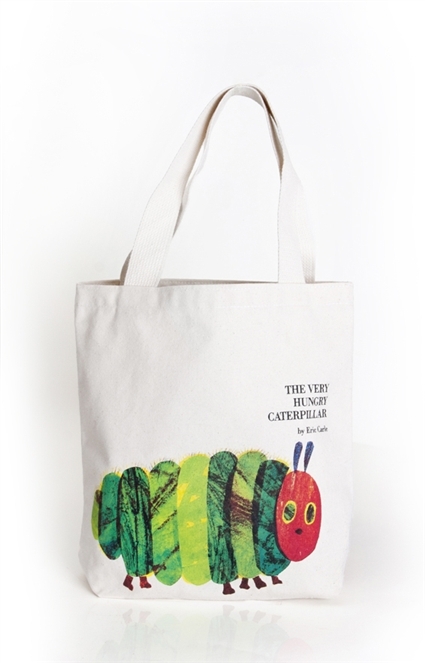 This jumbo tote bag features 100% cotton quilted Eric Carle fabric with soft, sturdy handles and roomy interior - the perfect size for lots of books! Tote measures 24" x 13". This high-quality watch features Eric Carle's The Very Hungry Caterpillar on a large watch face with an adjustable black leather wristband. Watch ships in a stylish metal tin with secure foam padding. Watch battery included. This high-quality watch features Eric Carle's The Very Hungry Caterpillar on a large watch face with an adjustable brown leather wristband. Watch ships in a stylish metal tin with secure foam padding. Watch battery included. This high-quality watch features Eric Carle's The Very Hungry Caterpillar on a large watch face with an adjustable red leather wristband. Watch ships in a stylish metal tin with secure foam padding. Watch battery included. This high-quality watch features Eric Carle's The Very Hungry Caterpillar on a small watch face with an adjustable black leather wristband. Watch ships in a stylish metal tin with secure foam padding. Watch battery included. This high-quality watch features Eric Carle's The Very Hungry Caterpillar on a small watch face with an adjustable brown leather wristband. Watch ships in a stylish metal tin with secure foam padding. Watch battery included.